The film tells the story of celebrated DCDC dancer Sheri "Sparkle" Williams. Award-winning Wright State filmmakers Julia Reichert and Steven Bognar have another hit on their hands. Their latest project, Sparkle, won the Audience Award for Best Short Documentary at SilverDocs, the largest documentary film festival in the United States. 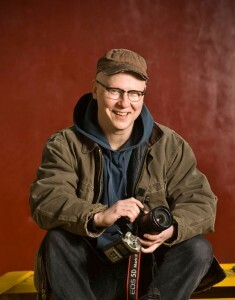 Reichert is a professor of theatre arts motion pictures at Wright State. 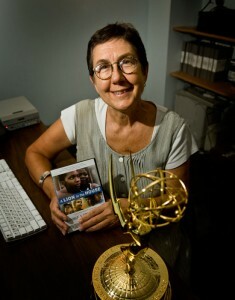 Reichert and Bognar were nominated for a 2010 Academy Award for their documentary The Last Truck: Closing of a GM Plant. Their film A Lion in the House premiered at the Sundance Film Festival, won a Primetime Emmy and was nominated for Best Documentary in the 2007 Independent Spirit Awards. With a crew composed mostly of Wright State film students and alumni, the pair followed Williams through her months-long recovery process. The film offers audiences a rare behind-the-scenes look at DCDC’s rehearsals and performances. Reichert said it was an honor for the film just to be accepted to SilverDocs. This year, the festival received more than 2,000 new documentary submissions from around the world. She and Bognar never expected that Sparkle would win the coveted Audience Award, beating the more than two dozen other short documentaries in the festival. Reichert and Bognar are planning Sparkle’s Dayton premiere in collaboration with DCDC. They hope to announce details of the event soon.